We’ve posted a lot of anecdotes from our teachers over the past couple months, but I thought our readers might be interested in this email that we received from the parent of a LanguageCorps participant. Her daughter is currently teaching English in Thailand and having an awesome time, and this proud parent sent us a note that made us beam! We know that parents are often apprehensive about their children heading off into the world to teach English abroad. And it’s understandable. We fear the unknown, and of course we want the best for our kids, and want to know that they’ll be given every chance to succeed, no matter what the circumstances. 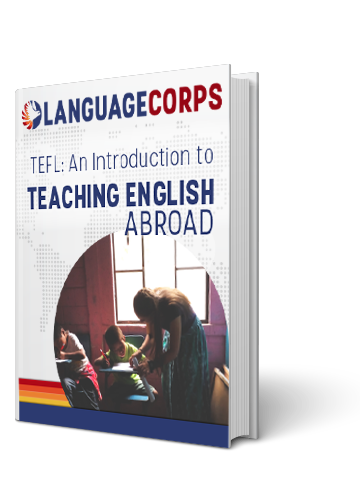 We thought this email might shed a useful light on one parent’s perspective about her daughter teaching English abroad, and how it has helped her to gain more confidence, independence, and a broader worldly outlook! My daughter is just wrapping up her first 6 weeks of teaching English in Thailand. She has had a great experience so far. If you ever need a parent perspective, feel free to contact me or have the parent(s) of any of your prospective teachers contact me. Abby told us a week before her college graduation that she wanted to teach English abroad and while I was surprised at her decision, I was excited for her. She did lots of research on programs and found Languagecorps to be the one that was best for her. I concurred with her decision and she went to work on getting her application submitted and securing her passport, etc. She landed a nice position in a private school in Bangkok, which is exactly where she wanted to be. She loves city live, teaching and traveling. She has grown in her confidence and of course her independence. Are you a parent and would you like to discuss your son’s or daughter’s travel plans with us? Always feel free to reach out with questions, we are happy to help!